Last week, Calciomercato in Italy claimed both Arsenal and Chelsea were keen on Marseille’s star Boubacar Kamara for next campaign. The young French centre-half has been a regular under French manager Rudi Garcia at the Stade Vélodrome this campaign, finally getting the senior-team football he and supporters were asking for, and the star’s done quite well for himself. Les Olympiens, as a whole, has struggled, but the 19-year-old star has proved decisive recently, netting the winner in a 1-0 victory over Bordeaux, and playing the full 90 minutes in last week’s 2-1 away win against Antoine Kombouare’s Dijon. According to a French news outlet Mercato365, the Blues have taken further step compared to their league rivals, sending delegations to watch Kamara in action in the recent Ligue 1 match where he was paired up alongside Croatian talent Duje Caleta-Car. The idea was for Chelsea to view his progress, clearly having done so in the past when the star first emerged, and there’s a big chance they like what scouts saw. In spite of making his debut in the 2016-17 season in the Coupe de La Ligue, Boubacar has needed to be calm to finally get a regular place in his childhood club, playing just 6 times in the league the previous year compared to this season’s 19, thus far. His current contract is due to expire in the summer of 2020, meaning a deal renewal might be on the cards in the coming months. If not, someone from West London could see this as a great opportunity and come knocking. The Chelsea management have reportedly been left not happy with Callum Hudson-Odoi’s lack of playing time since the turn of the year. 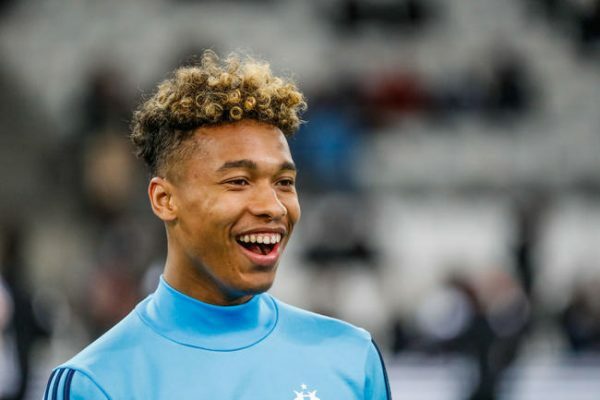 The west London side have been forced to reject a host of offers for the academy graduate from German giants Bayern Munich, and it has been claimed that the 18-year-old star is keen to secure a transfer to die Roten. Chelsea have kept Englishman at Stamford Bridge in the hope that the teenager will change his stance on an exit, but the star remains on the fringes of Italian manager Maurizio Sarri’s senior-team roster. According to a British daily tabloid newspaper The Daily Mirror, that has resulted in the Blues’ hierarchy being left not content, with officials behind the scenes interested in seeing the winger be given chances in the first team. Callum is likely to start the Europa League match with Malmo on Thursday night, but the youngster remains with just 74 minutes of England’s top tier football this term. 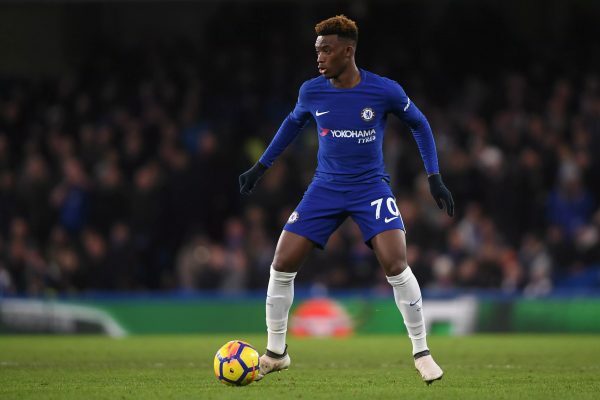 The report adds that the west London outfit may be ready to keep Hudson-Odoi until the end of his current contract – which expires in June of 2020 – in an effort to convince the winger to stay. Callum was ill at the start of the previous week, as Maurizio reported ahead of the Manchester City trip, but the forward trained for the rest of the week. Maurizio then took England U19 star to Manchester but the star failed to make the 18-man roster and was forced to watch the Citizens defeat from the stands. 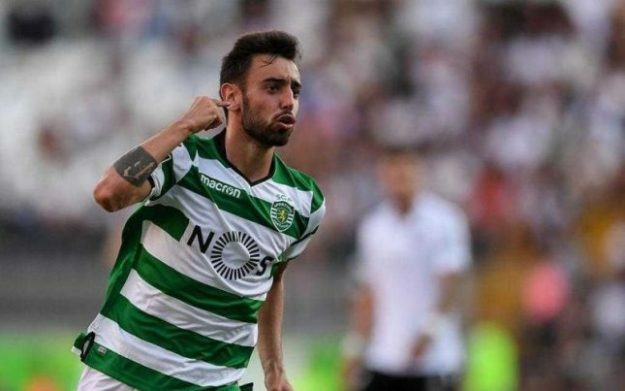 Premier League giants Chelsea are reportedly keeping a close eye on Sporting CP attacking midfielder Bruno Fernandes, but doubts over Italian manager Maurizio Sarri’s position have raised concerns over a deal. A Portuguese daily sport newspaper O Jogo report that both the Blues are and La Liga heavyweights Atletico Madrid are suitors of the player. Both sides have reportedly made checks on the star recently and have been made an impression with his displays this campaign. The report claims that both sides have enjoyed ‘positive observations’ of the technically gifted attacker. Bruno has bagged himself 18 goals for Sporting CP in all competitions (Liga NOS, Europa League, Allianz Cup, Taça de Portugal Placard) and that has not gone unnoticed. The Portuguese star has been connected with a move to the Blues for some time, but the Blues now appear prepared to step up their reported interest. With doubts rising over Maurizio’s position as Chelsea boss, speculation about Bruno Fernandes’ future may become clearer in the summer transfer window if and when Chelsea make a decision about the Italian tactician’s situation. Bruno Fernandes started a professional career with Portuguese outfit Boavista but did not play any senior-team matches for them. He signed for Serie B side Novara back in 2012 and making 23 matches in his first campaign before Udinese purchased him on a co-ownership deal and nurtured his talents for three campaigns, where he netted 11 goals in 95 games. A campaign at Sampdoria followed before a bargain €8.5m transfer to Sporting CP before the 2017/18 term.